We are proud to introduce MakerBeam version 2.0. 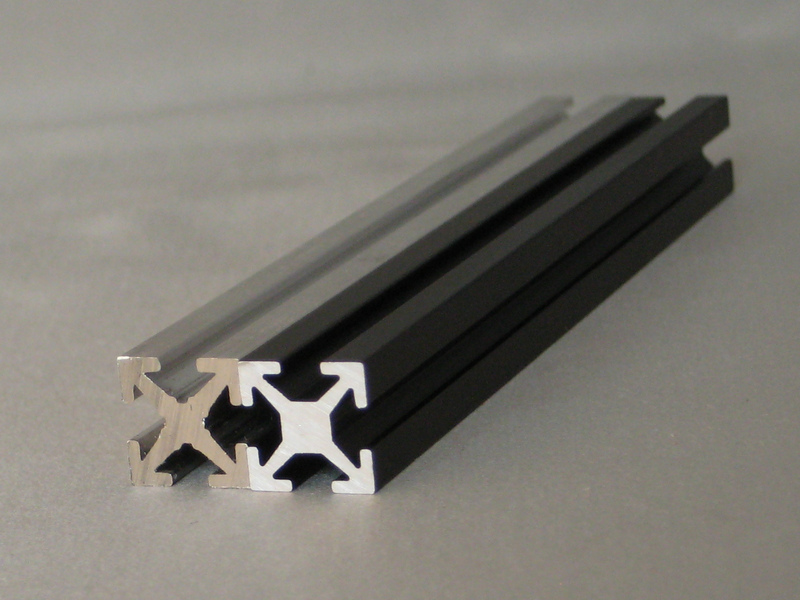 The new improved version is anodised in black and has a thicker core. Remember our blog posts ´Buttons to suit MakerBeam 1, 2 and 3´? In these posts we describe our difficulties finding 12mm length button head screws that fit the MakerBeam profile. We finally had them made especially. This experience also made us reconsider the profile. Would it be possible to make a new and improved MakerBeam profile? We also wanted the beams anodised. This to increase corrosion resistance and increase surface hardness. As a bonus it also allows dyeing. We immediately thought about black. It looks good, but more importantly could work well in fields that use photography. It was difficult to improve the profile and still completely stay in line with its distinct MakerBeam T-slot profile and width and height of 10mmx10mm. We think we succeeded. 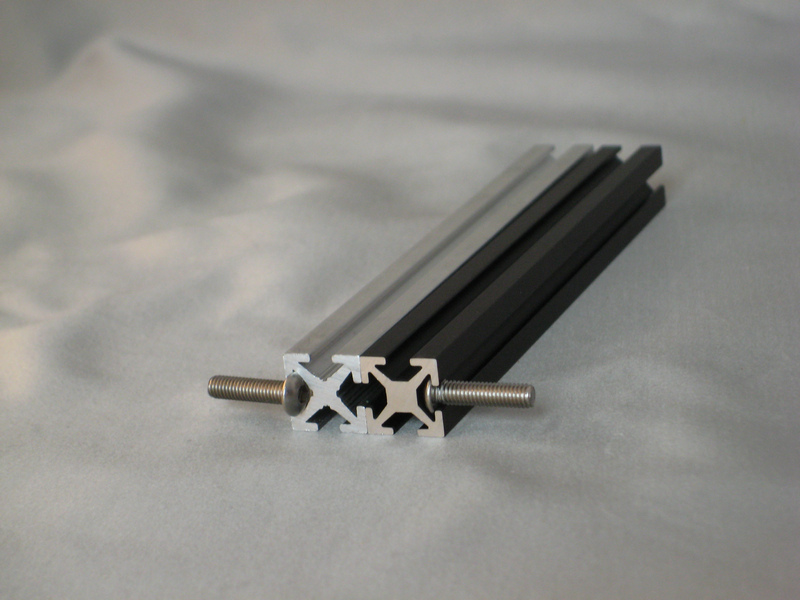 The design of the MakerBeam profile was changed. The new design has a thicker core. We hope this will strengthen the beams. The thicker core definitely has other bonuses. It gives you the possibility to thread wire on top to fit a M3 bolt. This will make MakerBeam even more versatile. Changing the core also made the slides a bit wider. This increases the chances that standard, of the shelf, M3 6mm button head screws will fit. Whereas they just did not fit before. On the left there is the old profile. A regular button head screw does not fit this profile. The screw does not even get in. On the right is the new profile anodised in black. The regular button head screw does fit. We tried several screws and most of them slided in quite nicely. This is different from the situation with the old profile where we had such a hard time to find some screws that would fit. We have to add a word of warning here. We only tested some M3 6mm button head screws that we still had lying around. These screws were already selected to possibly fit the old MakerBeam profile. MakerBeam bolts ofcourse have a perfect fit.